93 to 101 Albert Road was an original land grant to George Gatehouse in 1816. ﻿In 1913 the Northall Park racetrack was built on this site, horse racing events were held at the venue up until 1941, with lighting installed in 1938. Speedway racing for solo's and sidecar's were held at the Northall Park Showgrounds on the Trotting Track. During the running of the speedway meetings the venue was referred to as the Speedway Royal. 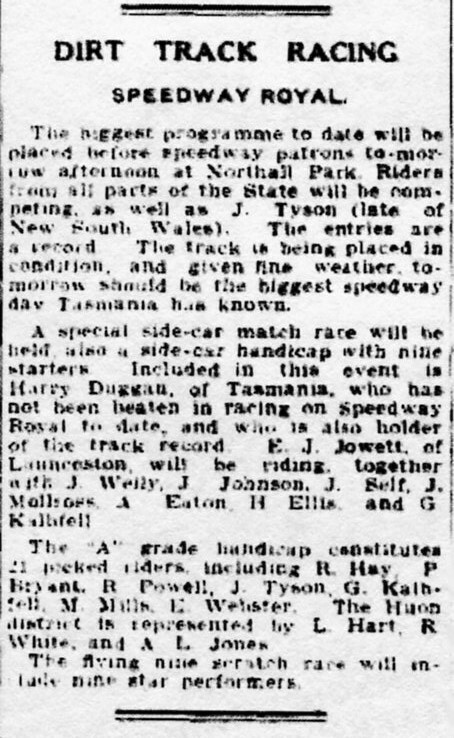 The land that had hosted horse and speedway racing was brought by the Tasmanian Government in 1942 for industrial purposes.